Lady Kinvara Balfour shares how she keeps her inbox so organized and a few of her secret life hacks. Lady Kinvara Balfour: I turn my somewhat irascible, often-apprehending wake-up thinking into positivity and enthusiasm for the day. I count my blessings and consider what I have ahead. I muster up courage and motivation for that day, and strive to be right-sized in all I do; I remind myself that I am no less than, and no better than, anyone else. And then I look at my iPhone, scroll through Instagram and re-remind myself that I am no less than, and no better than, anyone else. KB: Going to the theatre and the cinema. Reading books. Finding people I identify with and sharing openly and honestly with those people – be that about personal issues, business ideas or creative plans. Hanging out with children, or Granny Balfour aged 97. I also find browsing the internet very energizing, be that on my phone or laptop; I see images and words that motivate me and make me feel a part of the world. I am a huge fan of the world wide web and get much from it. KB: Back in England, my secret life hack is Ocado supermarket delivery service – nothing replaces it in USA and it saves so much time and energy. I would also add John Lewis to that mix – for everything one ever needs to buy. Ever. I think ordering things on Amazon is one of life’s greatest hacks. I thank Jeff Bezos for creating that one every day. I also recommend Spacemasks (like little hot water bottles for your eyes) and 3M Classic earplugs. I am an earplug connoisseur. KB: Aside from absolutely everything and anything by Evelyn Waugh, Oscar Wilde, Leo Tolstoy, Anton Chekhov, Roald Dahl, Jane Austen, Charles Dickens, Alan Bennett and William Shakespeare, the poem-song ‘Wear Sunscreen’ is one of my favourite works of literature. It teaches me all I need to know and I listen to it often. KB: I love my phone and have zero shame about that. I love what it looks like and I love what it does for me. I have enough of a life outside of it to know when to put it down and when to pick it up – but when I am staring at its perfect, crystal-clear, beautiful screen, I enjoy it immensely. throughout the day. My inbox cleansing happens hourly rather than weekly. I am sure some would call that OCD or ADHD. I call it being organised. KB: I lie down if I can, close my eyes, take a deep breath and hope to fall asleep for a little snooze. I firmly believe in the power of sleep. I consider it to be medicine, and something that should be incorporated into life without guilt or shame. KB: I am usually quite done in by the end of a Friday. I pack so much into the week, Friday evenings are when I sit down, unwind and need serious sleep – which I allow myself. I am not one of those who gets so burned out that Saturday and Sunday become Shatterday and Shunday but Friday evenings are sacred, and always call for a long bath, and my favourite cashmere jumper and fleecy trackpants. KB: I can feel like I have failed daily when I do not manage to do everything on my to-do list, but I know that no-one ever completes every task on that wretched list. I have learned to do as much as I can, to take breaks in between the chores, and to set realistic goals rather than overly-ambitious, workaholic ones. And to say no at least once a day. KB: Today is about progress not perfection. 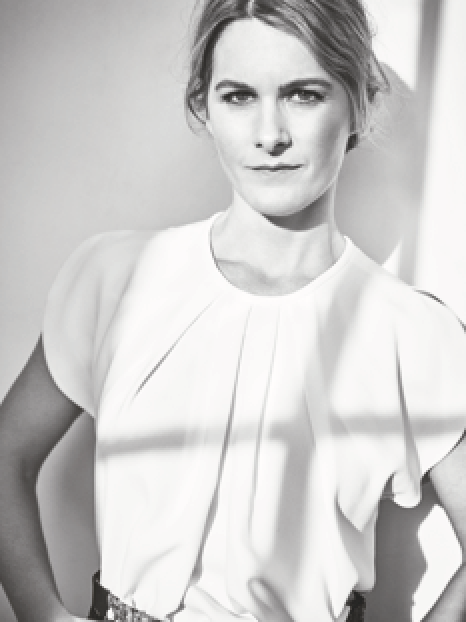 Lady Kinvara Balfour is a director, producer, writer and speaker. Her work spans the worlds of tech, fashion, theatre and film. Kinvara has advised and directed the launch of several major tech platforms in UK and USA including DailyCandy.com (acquired by Comcast in 2004), KeyNoir, Time Out, Vanity Fair UK and, most recently, SWNG (acquired by Microsoft in 2017). Kinvara speaks at conferences around the world about tech, trends and the zeitgeist. She is the creator of THE VISIONARIES, a series of mini-films shot on iPhone, filmed and directed by herself, which feature the key thought leaders of the world. Her series ‘Fashion in Conversation at the Apple Store’, for whom she has interviewed the likes of Tom Ford, Anna Wintour, Manolo Blahnik and Philip Treacy, is available to an audience of over 900 million on iTunes. Most recently, Kinvara is Executive Producer on McQueen, a feature documentary about the late, great fashion designer Alexander McQueen which is currently airing in cinemas around the world. She is an ambassador for London’s Royal Court theatre and has written two stage plays.